Learn the Knee arthroscopy surgical technique with step by step instructions on OrthOracle. Our e-learning platform contains high resolution images and a certified CME of the Knee arthroscopy surgical procedure. Knee arthroscopy was first introduced into the UK in the 1970s and it has now become one of the most versatile and successful of all orthopaedic operations. The key is identifying which patients would benefit from arthroscopic surgery as a diagnostic tool or as part of a reconstructive procedure. With the advent of MRI diagnostic arthroscopies are becoming less frequent. 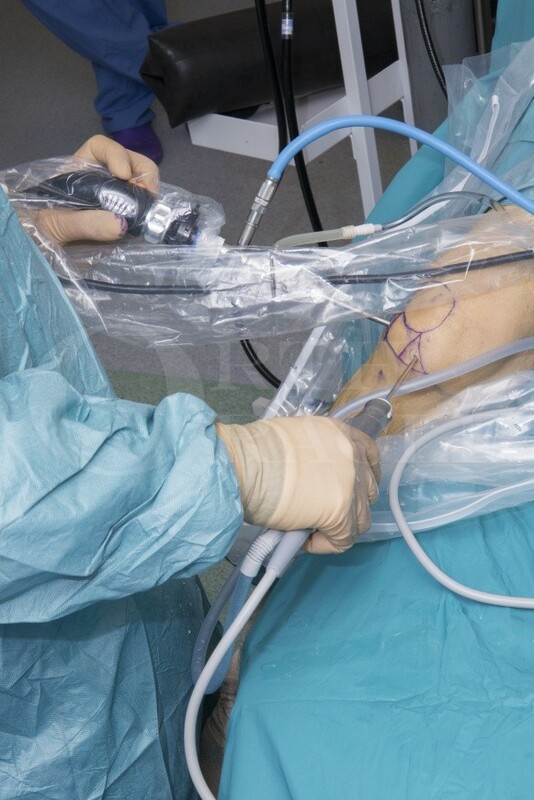 With the development of techniques and technology more and more knee procedures are performed arthroscopically which traditionally have been performed as open procedures. It is now very rare to perform meniscal surgery as an open procedure, as well as ACL and PCL reconstruction surgery. New techniques in cartilage repair have evolved to become arthroscopic procedures reducing recovery times.